Sometimes a historical site can be initially very confusing and making sense of it requires a little bit of detective work. 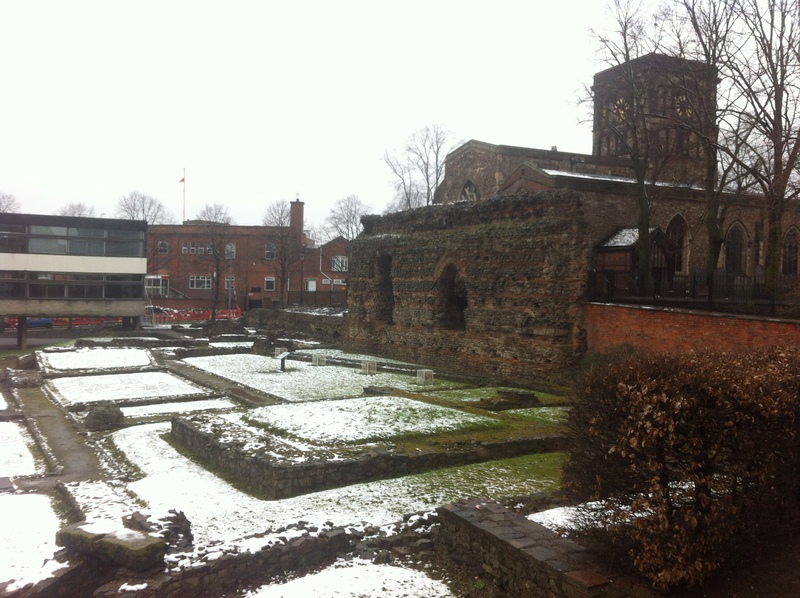 I was in Leicester – in central England – last week. It’s a city that was hugely important in the Middle Ages and was a major town when the Romans ruled the province of Britannia. 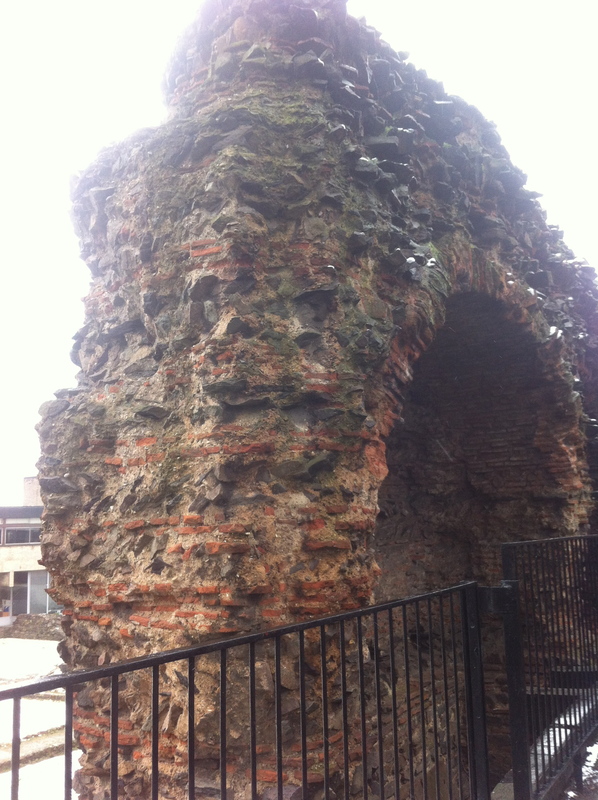 So – in the pouring rain, I came across a chunky bit of masonry dating back to the Romans. It’s a thick, brick section of wall called the Jewry Wall. However, it has absolutely nothing to do with the Jews and wasn’t a boundary wall. In the eighteenth century, historians thought it was a temple to the god Janus. It wasn’t. 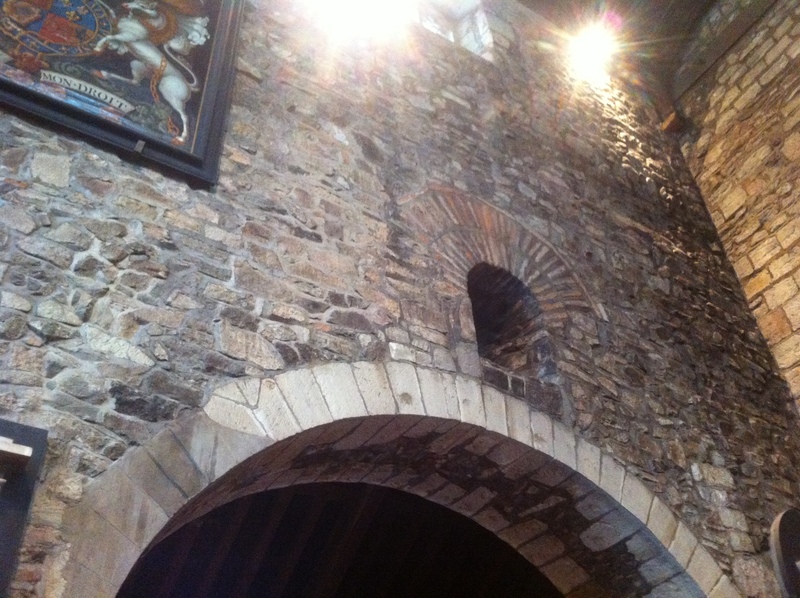 In the nineteenth century, the Victorians decided it was a city gate. It wasn’t. Then it was believed to be the city’s Roman forum even when it was becoming increasingly clear that the wall was actually part of a bath complex. So why was it called the Jewry Wall? Especially as Leicester’s Jewish population was expelled by Simon de Montfort in 1231, during the Templar era. It’s now thought the term is a corruption of the word ‘jurat’ – these were the senior politicians in the medieval era who held their council meetings near the wall. It is claimed on Wikipedia that buildings of unknown origin were attributed to the Jews in the Middle Ages – I’ve no evidence to support this assertion. Next to the wall is a church to Saint Nicholas. 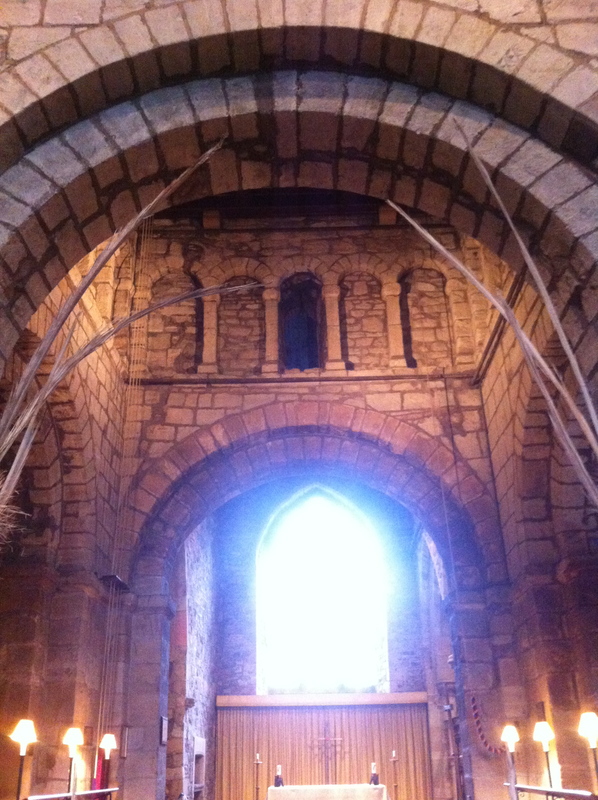 I walked in and was immediately confronted by two windows in the nave that looked very Roman. In fact, they date to the Saxon period – around 880AD. 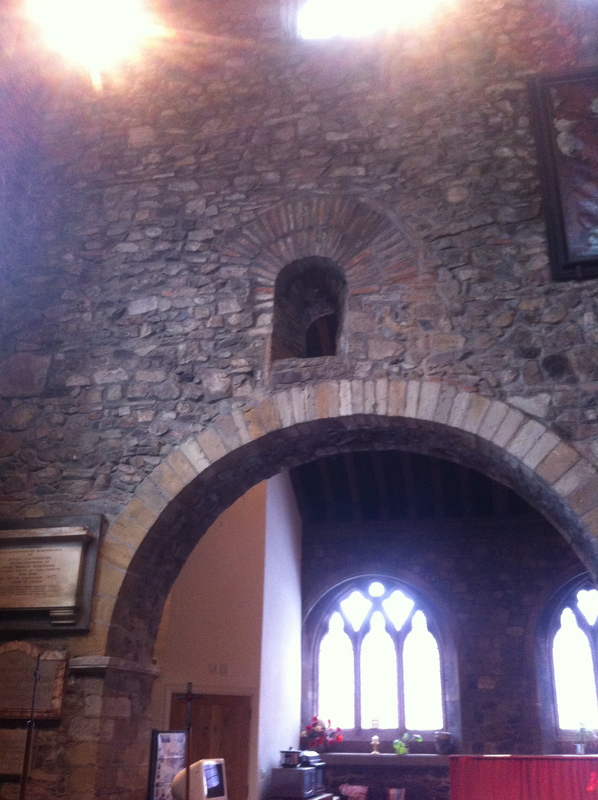 But the masonry was part of the original Roman bath and was simply transplanted into the church – by the looks of things, mimicking the original positioning. It’s a strangely laid out church with a Norman tower and some questionable changes made in the early nineteenth century when a wall of the nave was demolished and replaced by a brick arch. The church authorities actually wanted to demolish the entire church but didn’t have the funds.